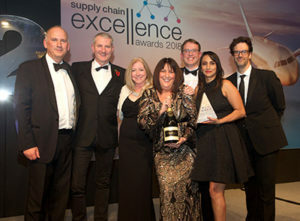 Superdry, with its logistics partner Clipper, has taken the Overall Award in the 2018 Supply Chain Excellence Awards. The Award was presented at a glittering ceremony before hundred of supply chain leaders in London last night. Superdry fought off strong competition from some global supply chain leaders. Among the highest scoring entries were Heineken, Keysight Technologies, Ocado and Turkcell. But ultimately, the contenders came down to John Lewis with Knapp, Sky with Unipart, and Superdry with Clipper Logistics. The Retail Innovation Award went to Ocado with its partner PW Gates, while Shell took the Technology Innovation Award. The Award for Robotics Innovation was taken by China Post with Beijing Geekplus Technology. And the Award for Supply Chain Innovation, sponsored by flex, went to HP. 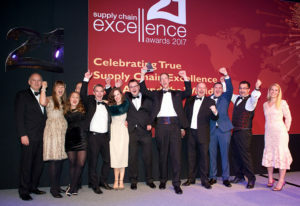 The 22nd Supply Chain Excellence Awards took place at the Park Lane Hilton in London on 6th November. Com edian Marcus Brigstocke hosted the evening. Brigstocke launched The Late Edition, the late night BBC4 answer to The Daily Show with Jon Stewart. He has hosted and appeared as a panellist on Have I Got News For You. Awards sponsors include Clipper Logistics, flex, Unipart and BluJay Solutions. High Commended: Turkcell İletişim Hizmetleri A.Ş. Award winner: Turkcell İletişim Hizmetleri A.Ş. 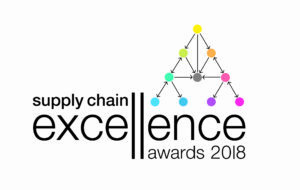 Since they were launched in 1997 the Awards have become the benchmark for supply chain best practice, attracting entries not only from the UK and Europe but all around the world.